Please welcome Ruby Preston, author of Starstruck. Carrie Bradshaw – I’m a devoted and loyal Manhattanite. Both…or neither. Give me an urban escape any day. Pepsi – though I prefer other beverages over soda (see answer to #3). Coffee in NYC, tea in London. I spent a lot of time in both places. Dine out. Though a cozy night in bed with a book and chinese take away is always a treat. Oh please, high heels. Are there any other kind? I love a good physical book but since I travel a lot, ebooks have been a revelation. Paperback – better for reading on a beach somewhere. Do those still exist? Kidding. Pen. I’m willing to commit. That’s a tie between Mad Men (when I’m feeling cynical) and Downton Abbey (when I’m feeling romantic). Twilight (see answer to #6). I’m a shameless vampire fan. Lipstick. The redder the better. I plot my novels in advance but inevitably my characters lead to make different decisions as I go along. With her Broadway opening night a few weeks away savvy young producer, Scarlett Savoy, is finally ready for her brand new musical to take center stage. Only two major things stand in her way - the beautiful but mercurial Hollywood diva she's cast in the lead and a handsome familiar face from her past who flies back into her life. 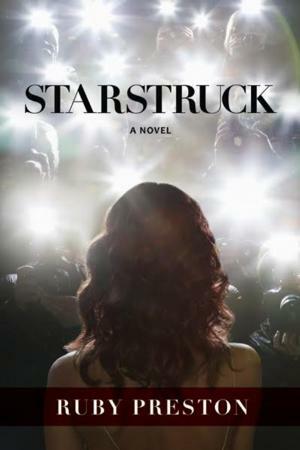 From high stakes rehearsal rooms, to paparazzi fueled scandals, to the star-studded red carpet of opening night, Starstruck is a page-turning journey behind the scenes of Broadway, all set against the glittering back drop of Manhattan. Will Scarlett make it to opening night before the curtain falls on her dreams?